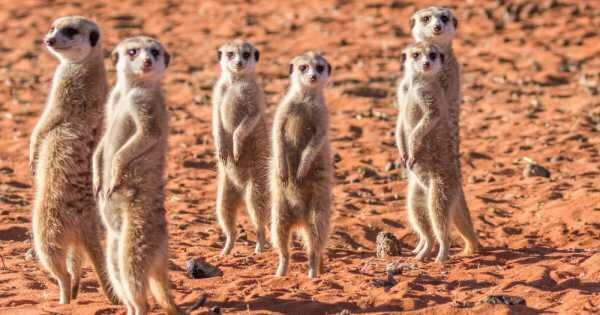 To visit Namibia on a private tour and you are opening yourself up to extreme, diverse natural terrain and culture all to be experienced on a safari. 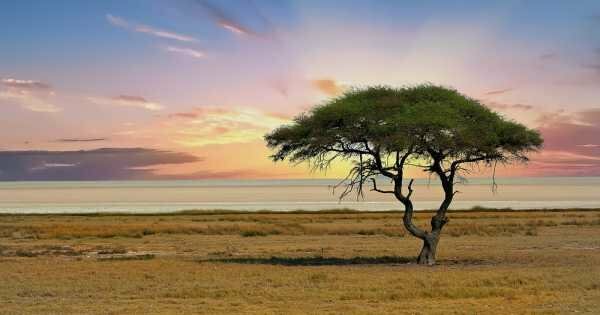 The country of Namibia is unique and was reborn in 1990 from the shadows of Apartheid. To ensure a better future for everyone living in the country, the many different ethnic groups are working together to make it happen while still keeping their individual culture and customs. Due to it being a rather large country on the southwestern coast of Africa, Namibia has a very diverse terrain. There are deserts, plains, sandy beaches, mountains, plateau’s, river and swamps. It is not surprising then to learn that there is a vast range of wildlife and vegetation. 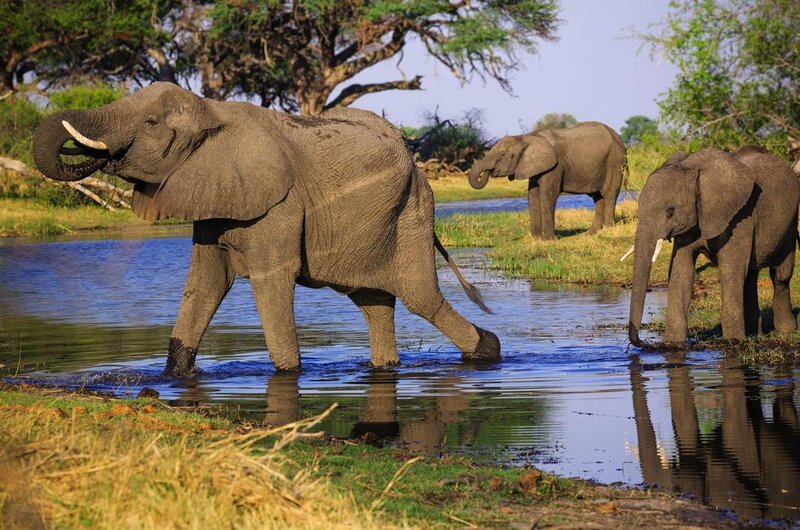 When you go on a game safari tour, you will see many species of Antelope, elephants, zebra and hippos. In the grassy plains, that is where the predators such as cheetahs, lions, leopards and hyenas. 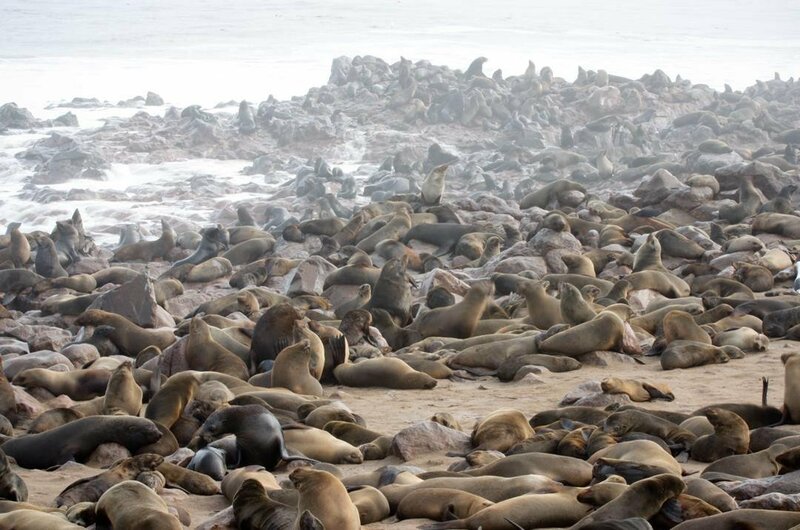 Along the coastal areas of Namibia, not only are there luxurious sandy beaches stretching for miles, but you also get to see the likes of seals, pelicans, penguins and even dolphins swimming close to the shore. There are plenty of National Parks and Game Reserves where you can go on fantastic safari tours. See the spectacular views when you visit the various Canyons or waterfalls. Take a jeep safari through the hot desert or up the mountain trails. 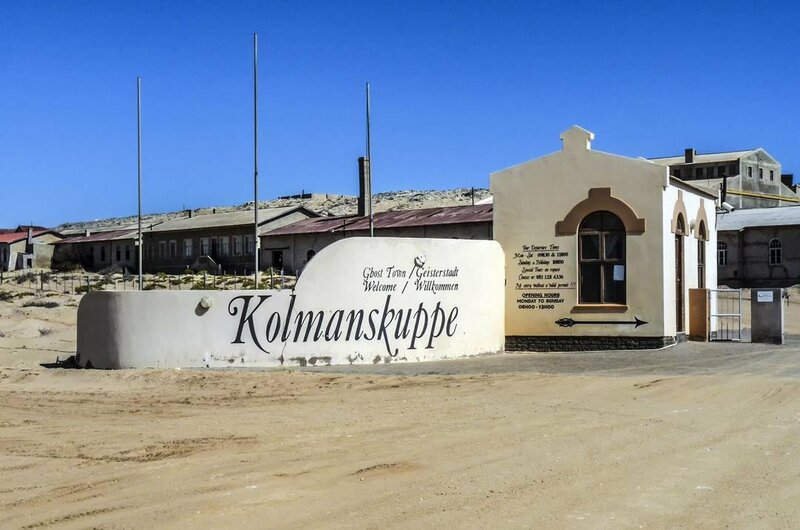 There is a Town called Kolanskop which is a Ghost Town but not in an eerie way with spirits; it is a ghost town due to it being totally deserted, a town forgotten. 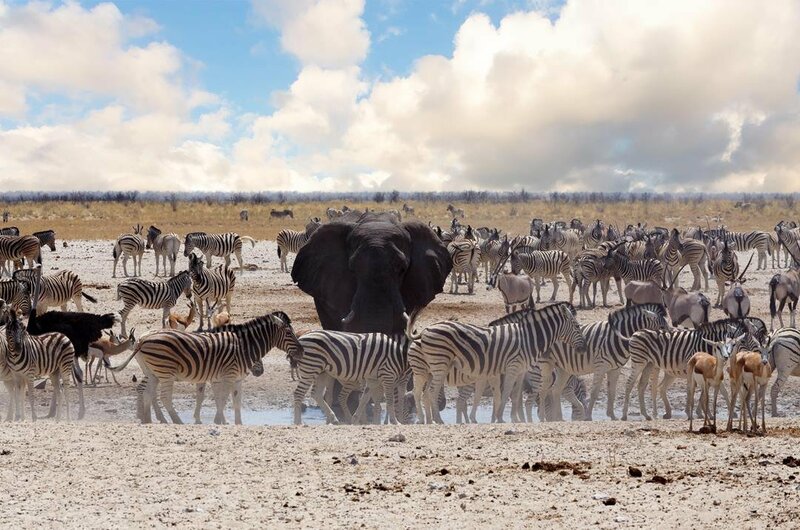 1 In Africa, one of the best game reserves, Namibia's Etosha National Park is where you can go on great safari tours. 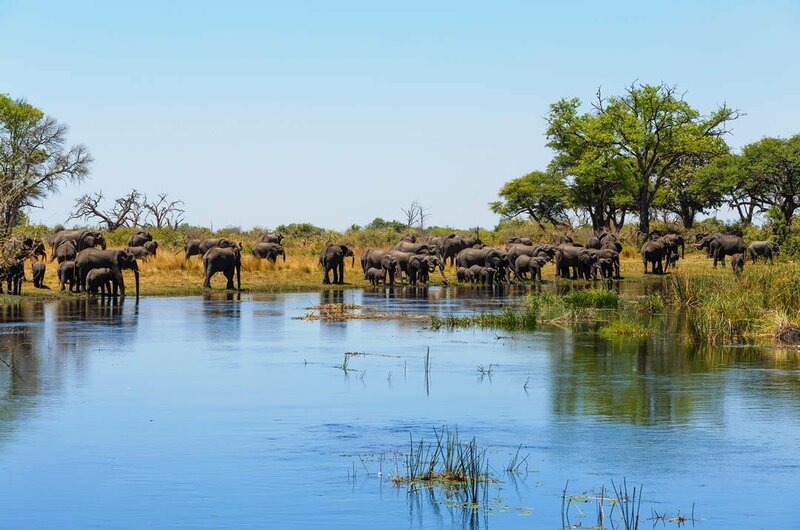 Due to the gathering of large and small animals at the waterholes during the dry season, you don’t need to travel far to see the likes of elephants, black rhinos, giraffes, lions, zebras and much more. The landscape of this park is defined by the large Etosha Salt Pan which briefly fills with water during the summer. 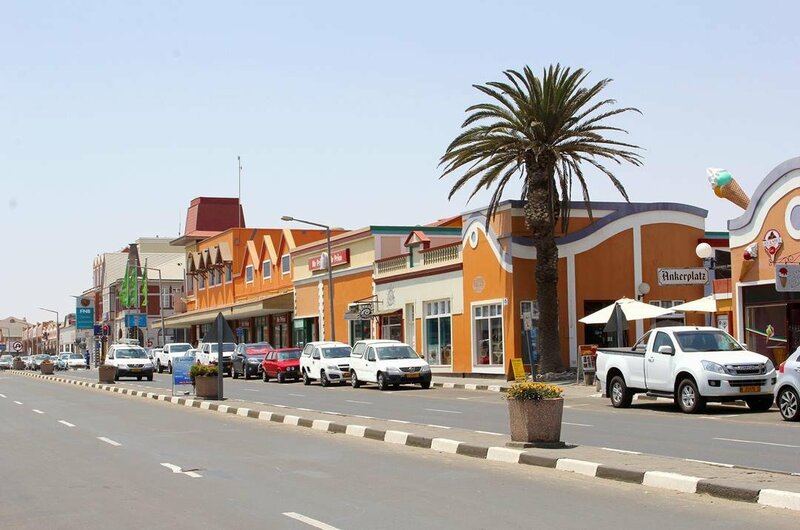 2 The biggest coastal town in Namibia, Swakopmund, is popular with locals and foreigners as a beach resort. 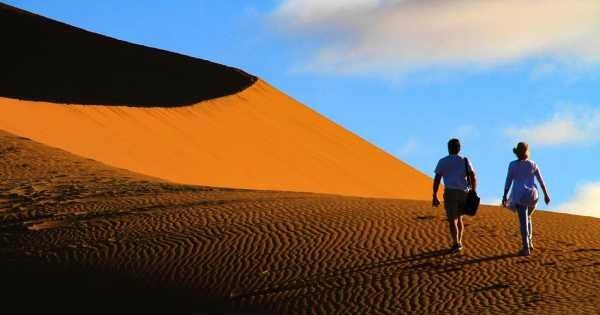 It is sandwiched between the Namib Desert and the Atlantic Ocean. There are lots of activities such as sand boarding, quad biking and watersports such as diving, snorkeling and fishing to do here or alternatively take guided tours to see the old Colonial buildings from the city’s German origins or museums. 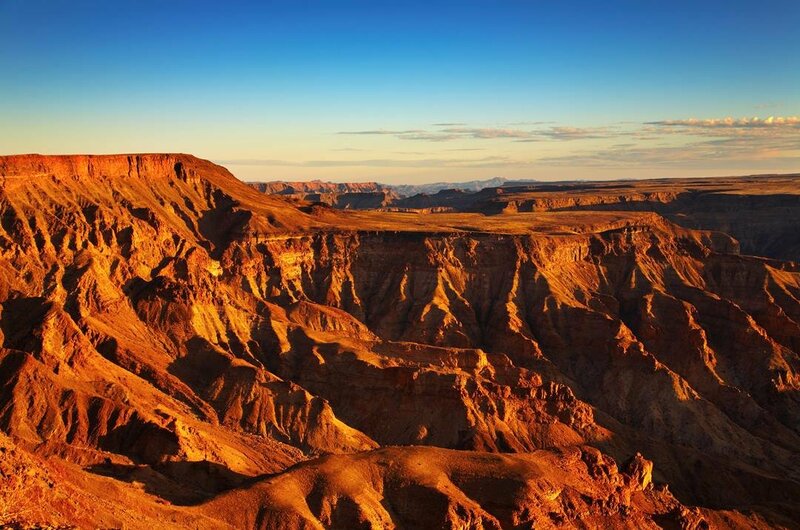 3 The biggest Canyon in Africa, the Fish River Canyon is a must see destination, it also is the second largest Canyon in the world. The breathtaking landscape, deep ravines and rock faces can be explored on excellent hiking safari tours or jeep safari tours where you can catch a glimpse of some of the wildlife found in or around the canyon such as Klipspringer, mountain zebra, springbok, leopard, many reptiles and species of bird. 4 Along the southwestern coastline of Namibia is Skeleton Coast which has become known as the biggest ship graveyard in the world. Due to the dense fogs, violent surfs and powerful storms causing many ships to run aground. Also along this coastline is Cape Cross where you find the largest colony in the world of Cape Fur Seals on a sightseeing tour. The breeding season in November and December sees over 150,000 seals gathering. 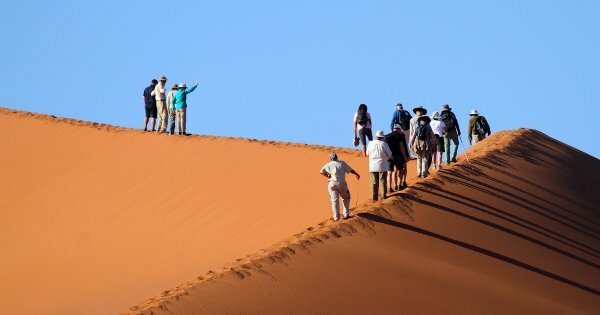 5 Take a jeep safari tour through the sand dunes of Sossusvlei located in the Namib Desert which are referred to as the world's highest sand dunes. 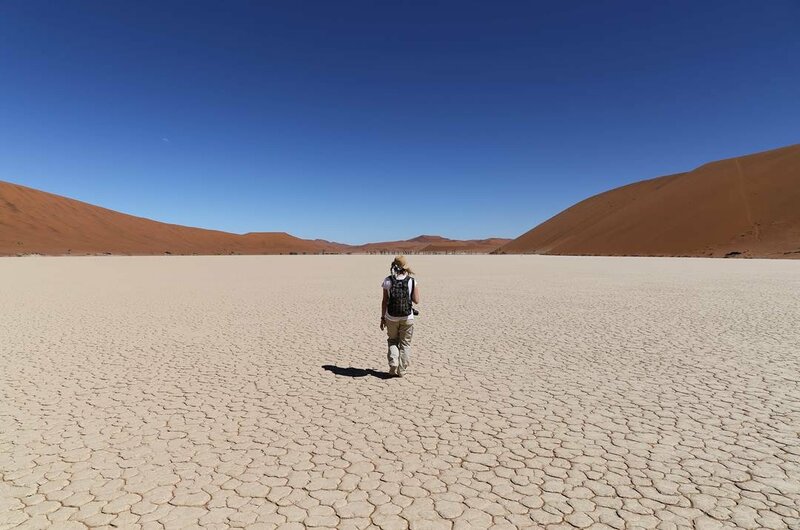 Sossusvlei is a clay pan that is surrounded by the large red sand dunes. The shape of the dunes constantly changes due to the mighty desert winds which in turn provides ever-changing landscapes in the Desert. The ideal time to visit here in at sunset or sunrise when the views are spectacular. 6 Take a jeep safari tour to the bald granite peaks, Spitzkoppe, in the Namib Desert. This compact group of mountains was created due to the collapse of a giant volcano over a 100 million years ago. When you are here, observe the rather bizarre formations the rocks have taken and find the ancient paintings done by the San people which you see on the mountains. 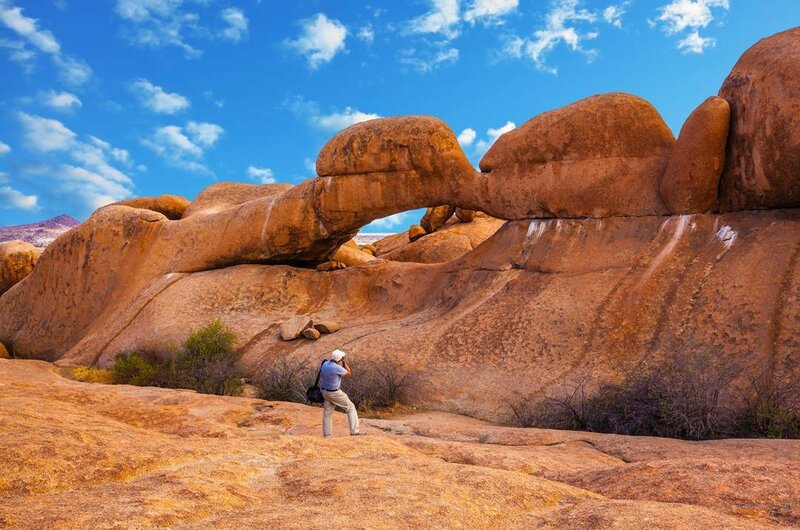 Spitzkoppe stands out above the flat desert landscape. 7 Zambezi Region was once called Caprivi Strip and is unlike anywhere else in Namibia. 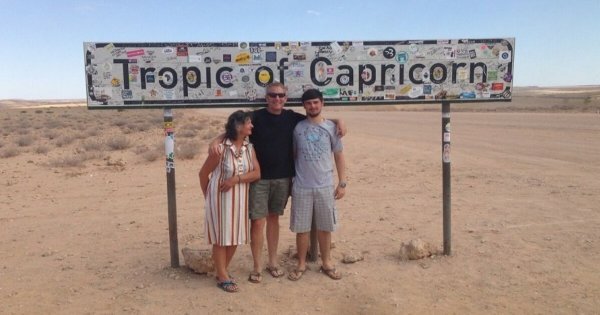 This strip of land has Botswana on one side, Angola the other and Zambia at the end. It is the wettest region of the country which is why it is a tropical sometimes humid, lush region with forests, swamps and rivers. It is a perfect place for safari tours in any of the national parks, to see elephant, buffalo, antelope and lots of birds. 8 Take a sightseeing tour to Kolmanskop the ghost town, a deserted town not a town with lots of ghosts. It was established after diamonds were discovered and many diamond miners settled here with their families. The majority of people were German and the town is built in a German architectural style. Once there were no diamonds left to be mined the townsfolk started to move until 1954 it was entirely deserted. 9 Located in the northeast of Namibia, Bwabwata National Park is another excellent national park to go on adventurous safari tours. This is still a developing park, but so far the resources and forward thinking have led to a steady increase of endangered animals under the park's protection. There are many great areas to be explored such as the Kwando River or Rundu and lots of wildlife like elephants, kudos and hippos. 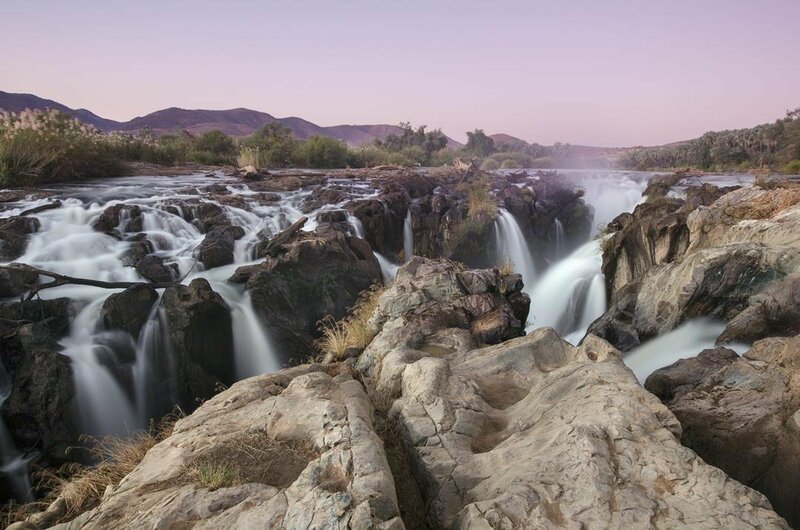 10 Take a jeep safari tour to the wonderful Epupa Falls which are created from the Kunene River just on the border of Namibia and Angola. The journey to the waterfalls is almost as impressive as the falls themselves. The scenery is very beautiful and breathtaking. It is a safari tour that is well worth all the bumps and rocks you have to drive over to get there. Look out for the wildlife that is roaming around the area on the way.